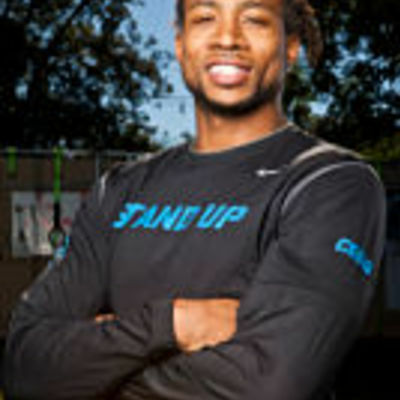 We would like to welcome Cedric G. from AUSTIN, TX, to the FitnessTrainer.com team. We pride ourselves on bringing not only quality trainers, but quality people as well, which is why we are so excited to have Cedric on board. If you live in AUSTIN, TX, review Cedric’s qualifications and training experience below to see if they would be the right trainer for you. Again, we are happy to expand our personal training services in AUSTIN, TX, with the addition of Cedric. Sign up with Cedric G. today! Founder of 7 Fit Studio, Cedric has had a lifelong commitment to fitness and enhancing the community around him. After a successful All-American high school football and track career, Cedric graduated in 2001 from San Antonio Holmes High School. From there he became a member and starting defensive back for University of Texas, where went on to play on the national championship team in 2006. After graduation, Cedric was recruited to the Minnesota Vikings for the 2006 season where he contributed as cornerback for six seasons. Cedric’s seventh season in the NFL was spent with the Washington Redskins. Having a passion for contributing to his community, Cedric is the founder of the Stand Up For Kids foundation and mentors grade school kids in the Austin, TX area. With 7 Fit Studio, Cedric’s goal is to use the facility to enhance the community around him. With a healthy mind and body, we can all influence and teach.